The definition of too much time on their hands. Virus scanning a computer. 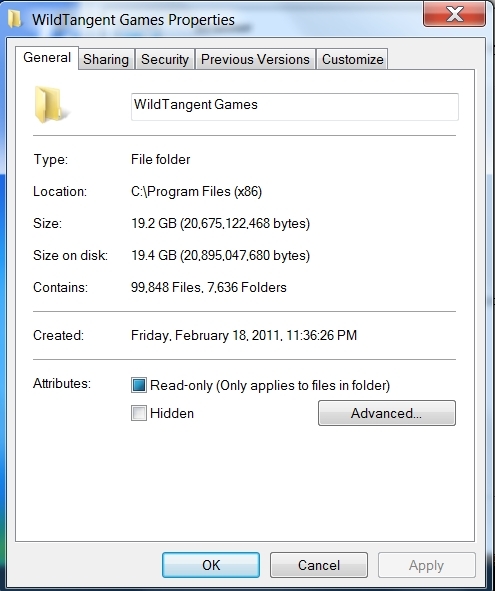 19.4 gigabytes of Wild Tangent games. 99,848 files in 7,636 folders. Takes a LONG time to virus scan.